the 25-year-old al-Araibi live since five years back in Australia, where he has been granted refugee status, but was arrested at the Bangkok airport in november, due to a faulty search warrant from Interpol. When the call was pulled back had the legal process in Thailand has already begun, and then it was, according to Wednesday's statement from the thai department of foreign affairs too late to back off. 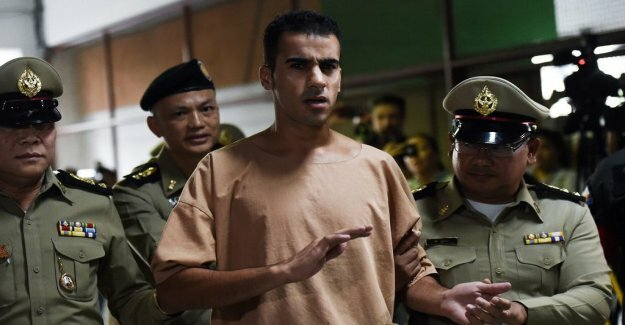 In Bahrain, was sentenced Hakeem al-Araibi 2014, in absentia, to ten years in prison for the events associated with the arab spring, and his former homeland have requested to have him extradited. everything is imaginary, and that the arrest has to do with his criticism of the president of the asian football federation, the bahrain's sheik Salman bin Ibrahim al-Khalifa. the Next court hearing is set for the end of april, and thereafter is expected to take another two, three months before the case is decided. The only option for al-Araibi to be released earlier than August, according to the thai authorities that Bahrain withdraws its request. the Arrest of football player has sparked major protests from many quarters, including from human rights organisations and from the Australian government, which has demanded that he should be released. Australia's football authorities have also set up the men's U23 national team training camp and a friendly in Thailand.